Battered person syndrome is a derivative of battered woman syndrome. Battered person syndrome involves battery of a male spouse or someone that resides in the household. Battered person syndrome may be used as a justification defense in a homicide prosecution. Typically, the defendant would assert self-defense as a defense and then justify the premise of the self-defense based upon the battered person syndrome. The premise behind battered person syndrome is that this syndrome is gender neutral. Mortgage fraud has become a more prevalent crime in the past few years. In the last two to three years the number of mortgage companies has increased at a rate of at least 50%. As a result of the increase in the number of mortgage companies, mortgage brokers seem to be engaging in more and more fraudulent types of conduct. The Federal Bureau of Investigation has cited the increase in the number of cases involving fraud and mortgage brokers. 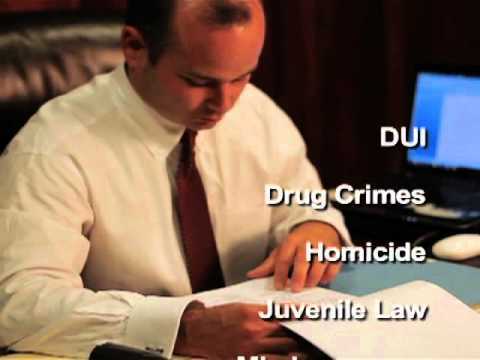 When a defendant has been convicted of a criminal offense, the defendant may seek relief from his or her conviction by filing a motion in arrest of judgment. A motion in arrest of judgment suggests that the judgment has not been legally rendered. The motion may be oral or it may be in writing. Although the defendant may have a statutory right in some states to file the motion, the motion is seldom used and is rarely granted by a trial court. Parole is the early release of a prisoner from incarceration. Parole is discretionary and is usually subject to certain conditions. Parole is not a commutation or a change in a prisoner’s sentence. It is also not an act of clemency. After a defendant has been arrested and may have been released, he or she is required to appear for an arraignment. An arraignment is a court appearance in which defendant is brought before a judge or magistrate and apprised of the charges lodged against him or her. Ordinarily with respect to a misdemeanor offense, the defendant will only be arraigned once. However, with a felony offense, the defendant may be arraigned more than once if the offense is changed from the offense listed in the initial accusatory instrument.